To conserve threatened species, birds especially, in the Atlantic Forest biodiversity hotspot. About 99 percent of the Atlantic Forest has been cleared or degraded by logging, driving major declines of many birds. In San Pedro department, Argentina, 20 species of globally threatened or near-threatened birds share their habitat with small-holder farmers. This project is demonstrating it is possible to slow forest degradation and protect endangered bird habitat, through education and opportunities for small-holder farmers to participate in conservation. Farming and logging are inadvertently reducing the availability of large old trees required by parrots and other birds that nest in tree cavities as well as bamboo stands required by threatened bamboo-specialist birds. Participants in the outreach programs are gaining confidence in their abilities to identify and help conserve threatened species. Outreach programs in schools have been broadened to reach a wider group. Our partner is the team of volunteers from Proyecto Selva de Pino Paraná, which is coordinated by Kristina Cockle, research scientist at IBIGEO-CONICET, and naturalist Alejandro Bodrati. Biologist Bianca Bonaparte and agro-ecologist Clara Fernández lead the outreach activities in schools, with help from aspiring teacher Anita Alvarez and volunteers from the local park ranger college. Farmer Abilio Rodríguez assists with outreach on farms. About 99 percent of the Atlantic Forest has been cleared or degraded by logging, driving major declines of many birds. In San Pedro department, Argentina, 20 species of globally threatened or near-threatened birds share their habitat with small-holder farmers. Farming and logging are reducing the availability of large old trees required by parrots and other birds that nest in tree cavities, and bamboo stands required by threatened bamboo-specialist birds. Interviews conducted in recent years indicate that many local people overlook habitat loss and degradation as serious threats to endangered species. Most primary school students, and many of their teachers, consider hunting to be the principal or only threat to native forest wildlife. In addition, many take for granted the services provided by native forest, including firewood, construction materials, protection of their drinking water, shade, and protection from the wind. 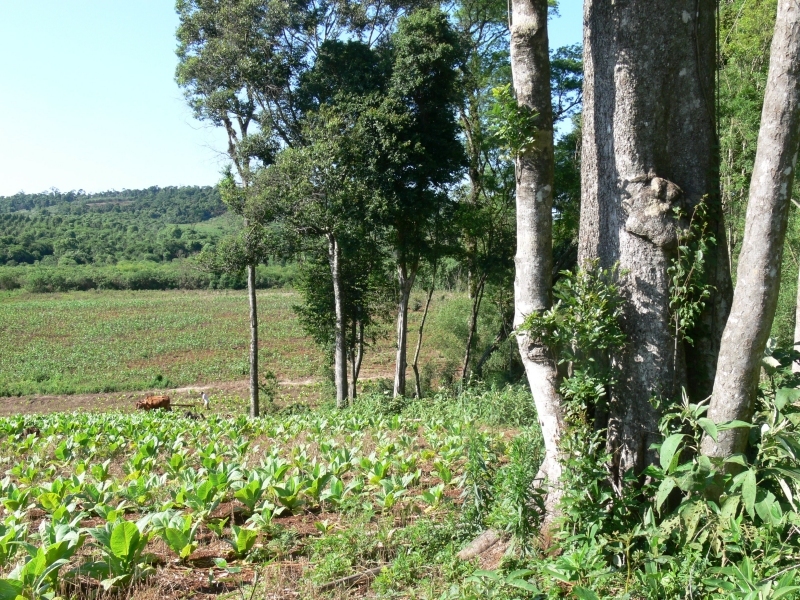 This project is demonstrating it is possible to slow forest degradation and protect endangered bird habitat, through education and opportunities for small-holder farmers to participate in conservation. 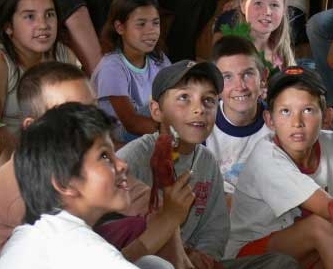 The outreach program complements ongoing scientific and natural history research by Kristina Cockle (IBIGEO-CONICET) and Alejandro Bodrati (Fundación Félix de Azara). 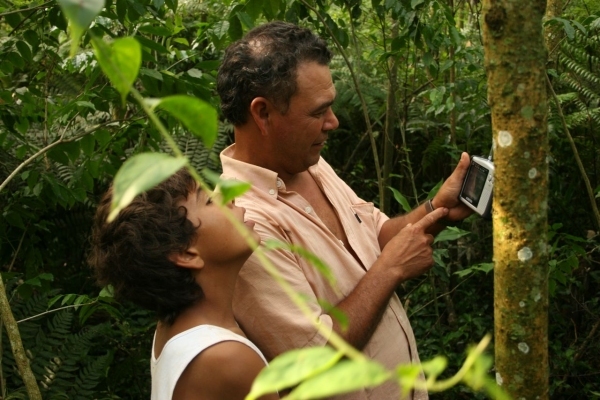 In 2003, Kristina Cockle and colleagues started field research in the province of Misiones, Argentina to determine habitat requirements and threat status of endemic Atlantic Forest birds. They quickly realized that urgent conservation action was needed to stop the decline of endangered Vinaceous Parrots. They mobilized a small group of researchers and volunteers to begin "Proyecto Selva de Pino Paraná" and launched an outreach program involving local small-holder farmers and school children as protagonists in conservation. 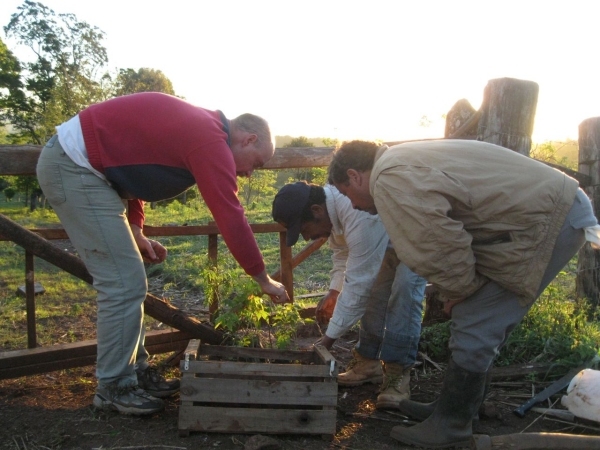 Individuals involved in this ongoing effort (Proyecto Selva de Pino Paraná) conduct research, educate the public locally and internationally, and encourage the active and appropriate participation of local small-holder farmers in wildlife conservation. 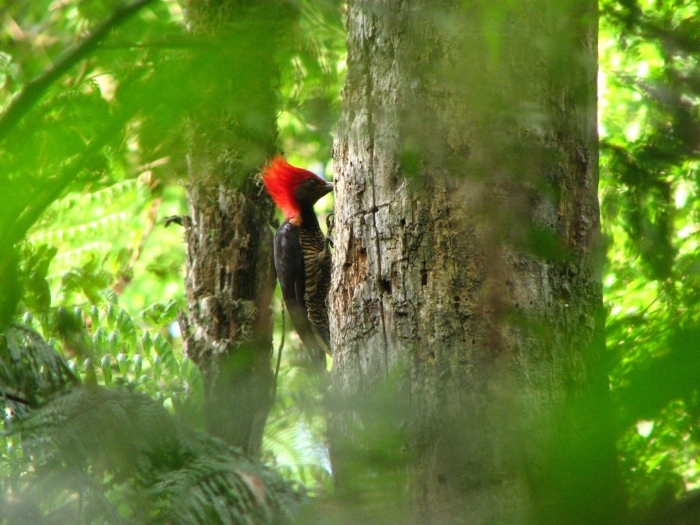 Currently, research focuses on understanding the interactions among woodpeckers, parrots and other bird species that nest in tree cavities, the natural history and ecology of bamboo-specialist birds, and the constraints and opportunities faced by farmers in conserving forest on their land. Research findings directly inform the outreach program, in which project personnel educate the public about endangered species and extinction, and empower them to conserve these species by providing opportunities to participate. 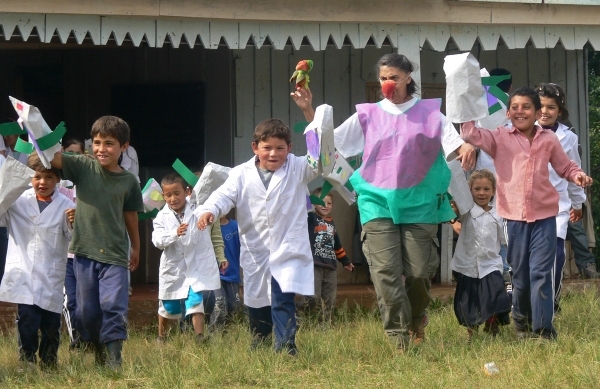 In 2013 and 2014, project personnel developed fun educational activities and materials for teachers and students, delivered in full-day visits to 12 schools. In 2015, the same 12 schools were re-visited in addition to 7 new schools. Students' ability to identify and recognize the threat status of local species at previously visited and new schools was evaluated. Preliminary data analysis from early 2015 indicates that 15% of students at schools that were visited in 2014 recalled the name of the Helmeted Woodpecker in 2015, and 40% recalled the name of the White-bearded Antshrike (vs. no students at schools that had not been visited). Students at schools that were visited in 2014 performed, on average, 16% better than students at schools that had not been visited, at classifying species to their correct IUCN category. Broadening of outreach program. In 2015 the outreach program was expanded to six new high schools and one new elementary school. Thirty-eight workshops have been completed in highschools, with a total of 1189 students. Fifteen workshops were completed in elementary schools, with a total of 218 students in attendance. Workshops are delivered through multiple media types: powerpoint presentations, small group projects/assignments, story-telling and theatrical plays in which students become the actors who make decisions about farm and forest management. Workshops are delivered at both rural and urban schools. During the 2015 work, two young conservationists (Bianca Bonaparte and Clara Fernández) led the outreach program in highschools. At the elementary schools, they are joined by six students from the local colleges (education and park ranger programs). The over 50 peer-reviewed publications by researchers involved in this project have led to changes in international Red List status and concrete conservation recommendations for regional and national stakeholders. 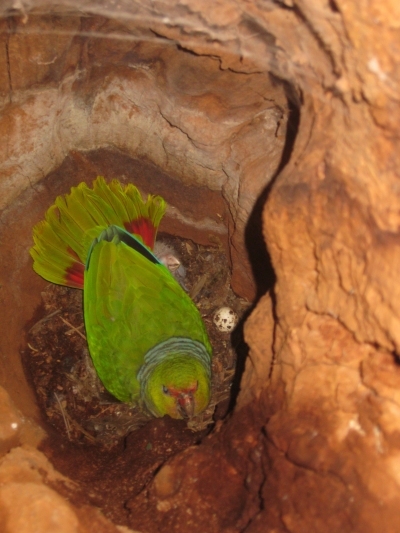 As a result of their outreach activities, farmers who previously captured Vinaceous Parrots for pets now help monitor them, and 37 families have invested in the future population by planting over 2000 native trees on their farms. Long-term plans are to continue research on threatened birds in Misiones at least until 2016 and continue to respond with the types of outreach activities that have already proven effective. Over the longer term of the project, outreach activities are expected to result in a shift in thinking by local farmers, toward protection of endangered species and their habitat. It is hoped that farmers will take steps to conserve key habitats on their farms, and conservationists will learn to better help them do so. The ultimate goal is to achieve conservation of 20 endangered bird species in the mosaic landscape between existing protected areas in Misiones, a landscape that currently includes nesting trees and Atlantic forest patches and corridors, key stepping stones and habitat that allow these birds to persist in the province. While not part of our project, this is related: In March 2016, ICFC's partner Proyecto Selva de Pino Parana and Aves Argentinas carried out a comprehensive survey of the Endangered vinaceous-breasted parrot (aka vinaceous Amazon). A peak count of 262 parrots going to their roosts in Misiones was the highest number counted in 11 years, giving encouragement to conservation efforts for this species. Participants were volunteers from Aves Argentinas, Proyecto Selva de Pino Parana, Escuela de Guardaparques de la Universidad Nacional de Misiones, Projeto Charão, Universidade de Rio Grande do Sul, COA Iguazú, COA Posadas, Fundación Cabure-í, and Jardín Zoológico de la Ciudad de Buenos Aires.